Celebrating excellence through our year end Prize Giving event! The event is where we celebrated a wonderful year of many significant achievements. The branch equally acknowledged all the Ikamvanites who used the opportunity in the year striving towards personal growth and academic excellence. Each learner received a branded coffee mug with the IkamvaYouth logo and a personalized name, a certificate recognising their academic excellence. Presented by the Kuyasa Progamme Coordinator, Ntombi Mahlangu, 80 prize giving awards were awarded for the following mentioned categories (see below). 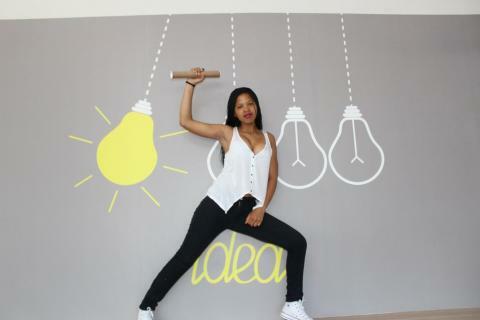 Photo: Yonela Sitawuti demonstrating IkamvaYouth motto that we live by daily at our tutoring space; our organizational motto is “The Future Is In Our Hands“. Prizes and gifts were all well received by learners, parents and stakeholders. Moreover, the parents and IY relatives were hugely impressed with the achievements and attitude of all of our Ikamvanites. With only 10 months running in the Kuyasa space, for each and every learner, the branch still strives towards helping learners achieve academic excellence, personal development and success in all their future aspiration. We are so proud working with such an excellent team dedicated towards achievement of positive goals. We would like to thank Merrpak located in Ndabeni for supporting our Prize Giving event through a donation of 48 Mailing Tubes that assisted in arranging the assortment of certificates awarded to Ikamvanites. We are looking forward to the New Year, 2017!! As the year 2016 draws to a close, it is important to look back and celebrate the achievements of the year gone by. The Nyanga Prize Giving was held on Friday, 02 December at the Nyanga branch. 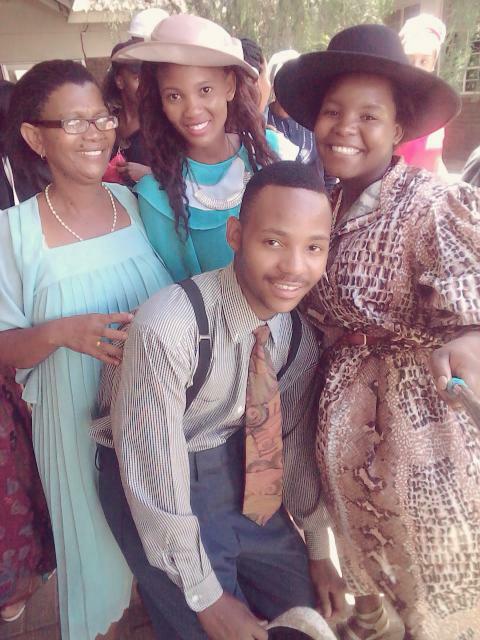 With the weather permitting, the event was held in the quad of the Zolani Centre. 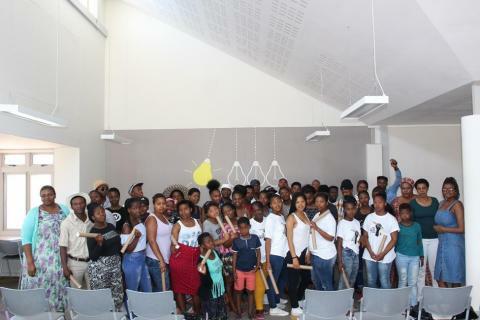 The event was attended by parents, volunteers, learners, IkamvaYouth staff members and neighbouring stakeholders at the centre. It was great to see most of the Nyanga learners wearing their IY t-shirt with pride. After the welcoming address from the Branch Coordinator, a moment was taken to highlight all that has gone well for the Nyanga branch in 2016. Emphasis was placed on the positive achievements of 2016, as we often like to dwell on the trials and challenges instead of the triumphs. 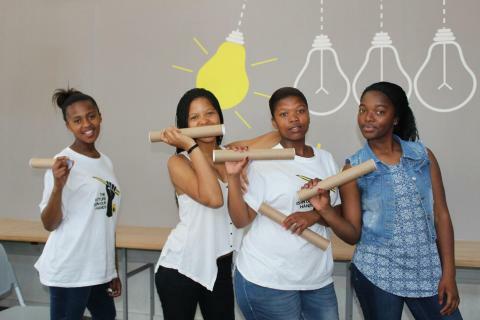 Included in the major achievements of 2016 was: Winter School 2016, Matric Camp, the branch’s partnership with PricewaterhouseCoopers (PwC), Girls and Boys Club and winning the national T-shirt design competition. After highlighting the achievements of the branch, it was time to move on to the individual awards ceremony. The energy among the learners seemed to lift as the individual awards ceremony began. The awards categories included attendance, outstanding academic achievement, most improved learners, learner of the year, matric learner of the year, excellence in English and many others. 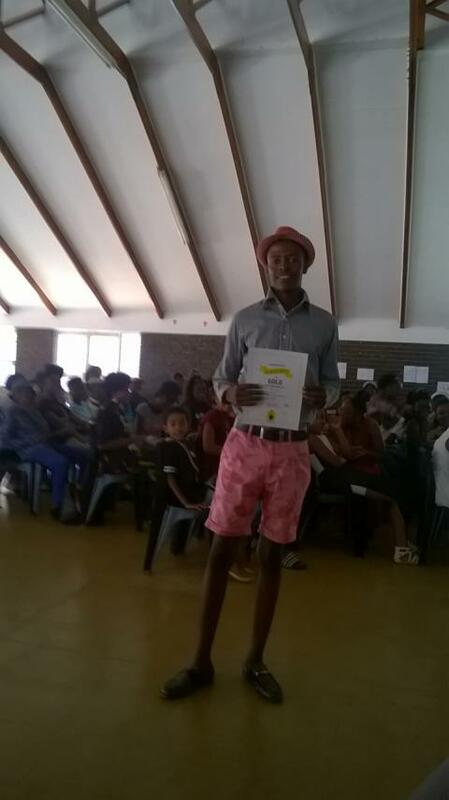 A new category introduced by the Nyanga branch was the award for ‘Shining Stars’. The ‘Shining Star’ award was received by learners who are not necessarily in the top 5 academically but do show great potential and take initiative at the branch. The winners of this award received a letter of recognition and appreciation, accompanied by a chocolate surprise and a ruler. In giving this award, we wished to reward and recognize all that they do for the branch and to encourage other learners to do the same. The volunteers were not left out of the awards ceremony. All the volunteers received a Certificate of Appreciation and a small gift. 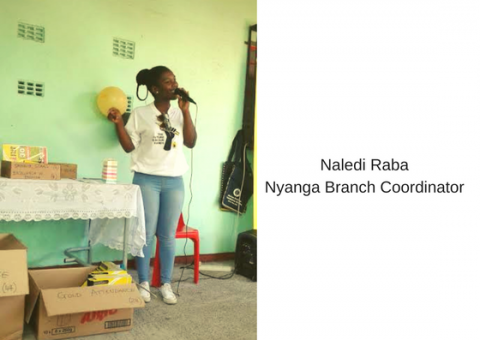 The awards ceremony was closed off with a few special gifts to recognize those who have contributed greatly to the Nyanga branch’s success in 2016. The branch did not forget to thank and recognize Lawrence, the branch security guard who goes above and beyond for everyone at the branch. The event was then closed off and refreshments were served. The Nyanga branch is grateful to have so much to celebrate in 2016. 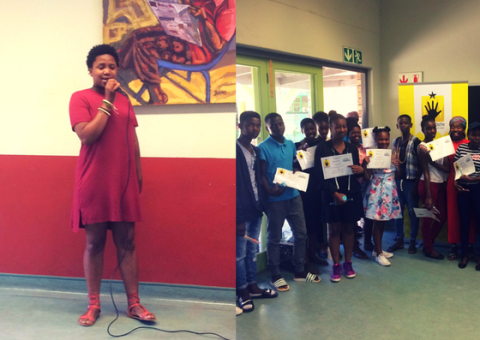 On the 26th of November 2016 Masi branch hosted the year end prizegiving ceremony at Masiphumelele Library. On this day the Masi branch was honouring all the hard work done by the learners and tutors and also acknowledging our partners. 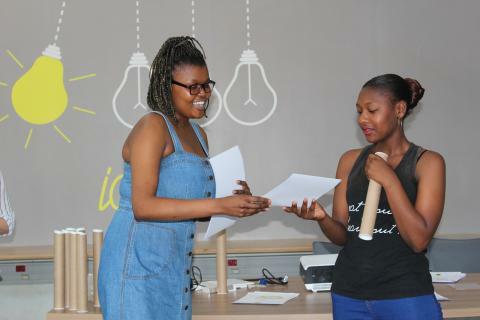 Sanelisiwe and Sandisiwe Ndzuzo, both in Grade 9, were the MCs of the day and started the event on very high note with lots of energy, excitement and enthusiasm. The prizegiving categories were, Learner of the year voted by other learners; Most Improved, Outstanding Academic Achievement, Best Attendance, Learner Involvement and Certificate of Participation for Volunteers. 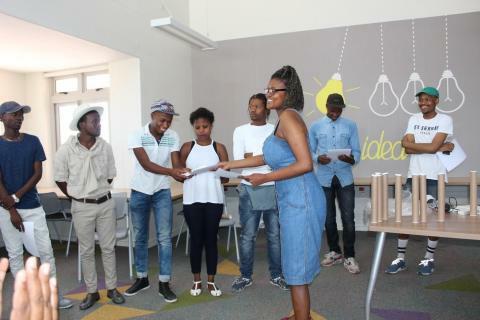 Thulisa Mayekiso briefly explained the Nal’ibali programme for the Grade 9 and 10s before handing out certificates and prizes for the Book Club. 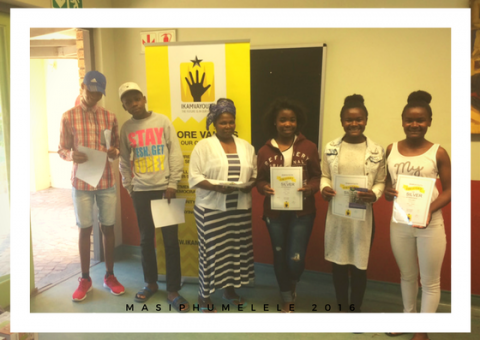 The event was a success, the parents, learners and tutors were really excited and celebrating all the achievements done by the Masinites. 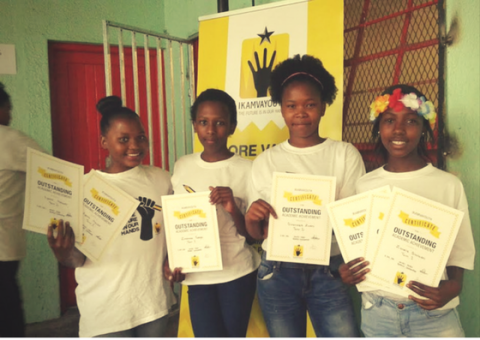 The Masi Branch especially thanks the Masiphumelele Public Library staff for their constant support and in-kind donations ; Capitec Bank, State Street Southern Africa and Cognia Law for their financial support as well as providing some mentors for the Matriculants. Thank you to Pick n’ Pay Fish Hoek Family Store for always generously donating food during Winter School and all other special events.